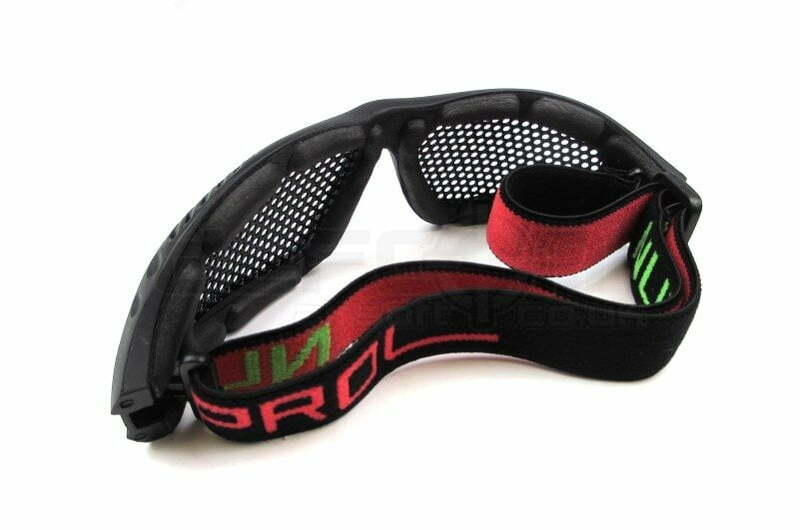 Hi quality mesh eye protection for Airsoft gamers who are fed up with foggy vision ruining their game. Designed to be a tight yet really comfy fit with elastic headband. High-density, high durability polymer frame houses a custom-made mesh “lens”. 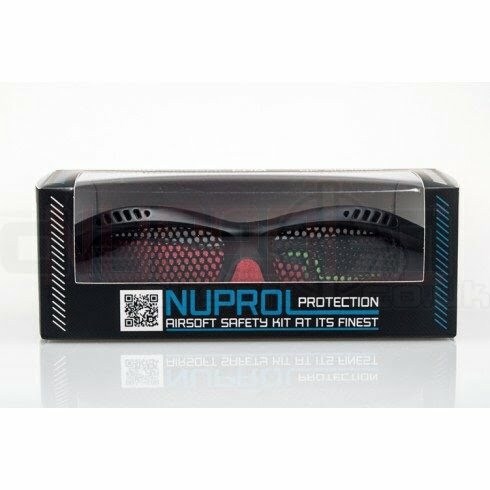 Certified up to CE safety standards, the NUPROL range of eye defense has been awarded CE Certification for safety. 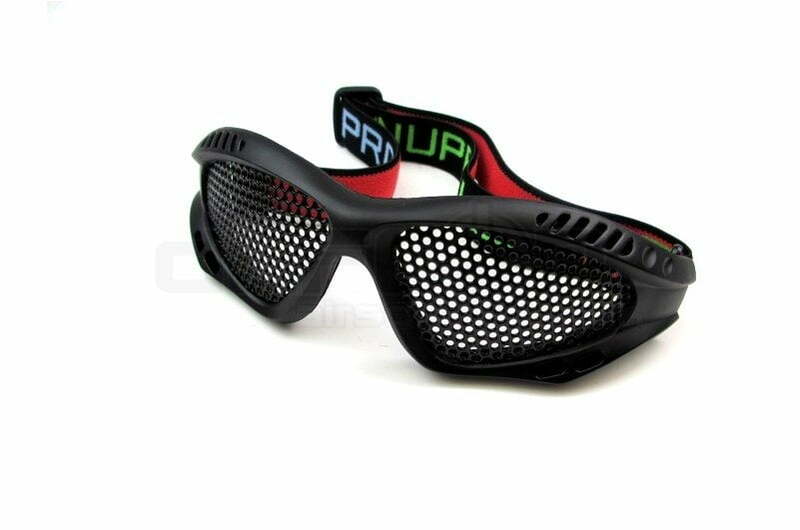 This makes them the safest mesh safety goggles you can get on the Airsoft market today. New Steel mesh (2x thicker than the market requirement). Finest spacing possible for mesh holes to enable more light in with no safety impact. 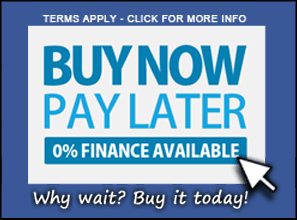 The greatest quality polymer product for long lasting, durable frames. New foam padding for more comfortable fit and eye seal for security. 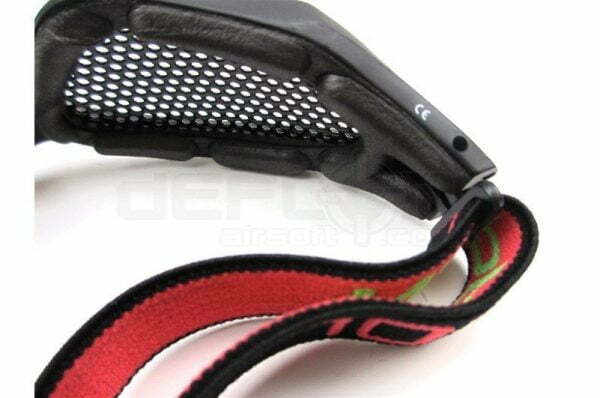 High quality extreme sports industry standard security strap. 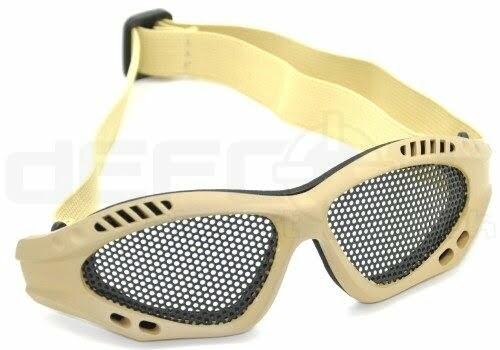 Eye protection from a reknowned European Airsoft brand. 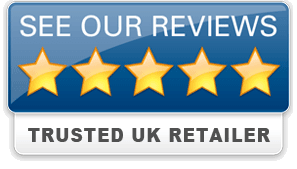 Tough steel wire mesh and top quality PVC frame.